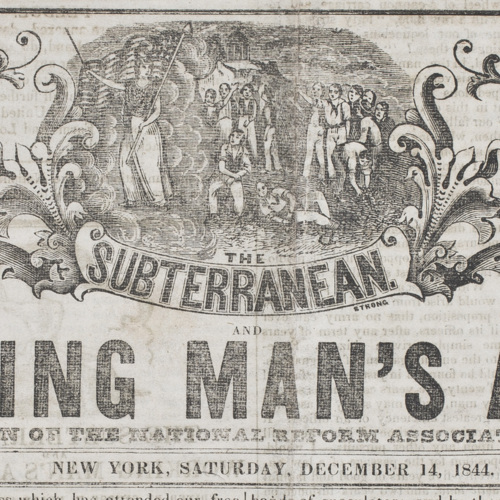 Several items included in this exhibit are centered on a pair of strikes and protests organized by factory girl collectives working for the mills at Lowell, Massachusetts, in the years 1834 and 1836. 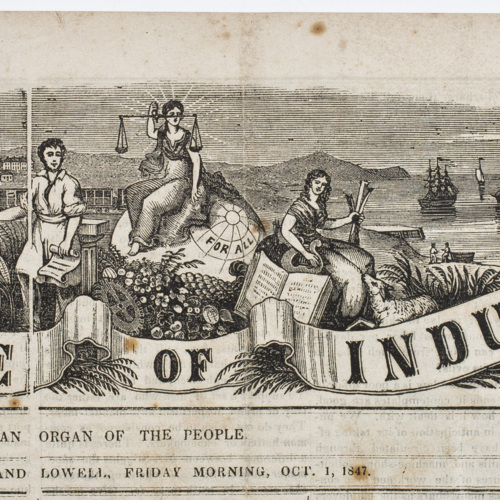 In the 1820s, Lowell grew from a small collection of farms and homes into a bustling industrial town. 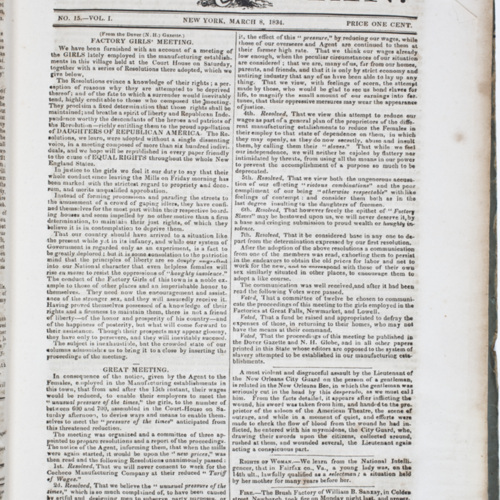 Eventually, ten corporations built over thirty mills around Lowell, much of them situated along the domineering Merrimack River. 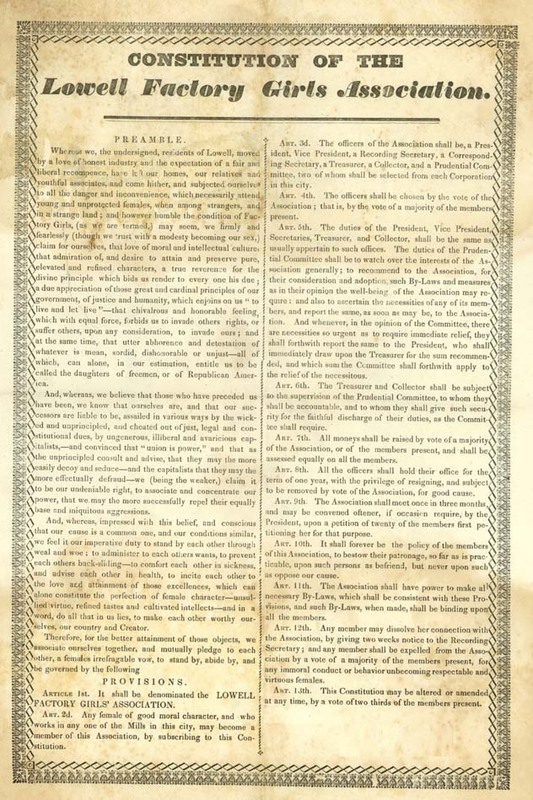 Assailed in various ways by the wicked and unprincipled, and cheated out of just, legal, and constitutional dues, by ungenerous, illiberal and avaricious capitalists, [...] we, (being the weaker,) claim to be our undeniable right, to associate and concentrate our power, that we may the more successfully repel their equally base and iniquitous aggressions. 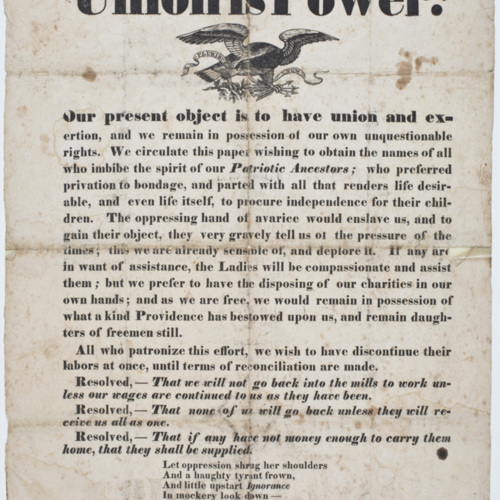 Their labor movement, headed in large part by mill worker and Lowell Offering contributor Sarah G. Bagley, who also cofounded the Lowell Female Labor Reform Association, would continue on for years and in many forms, forcing mill corporations to shorten workdays and improve the general conditions of workers’ lives and those of laborers to come. 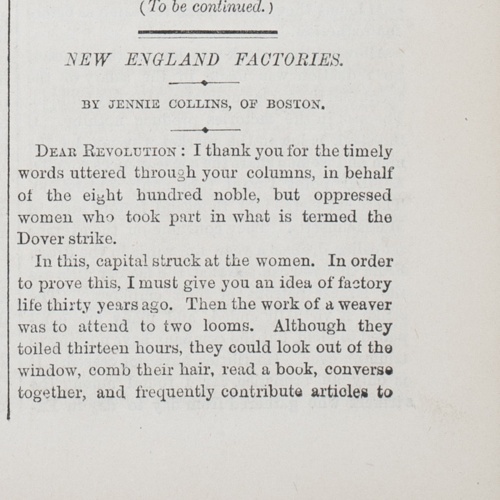 But as the piece “New England Factories” from activist Jennie Collins attests, even by 1870, women were still overworked and underpaid compared with their male counterparts and the battle for equity continued. "Evils of the Factory System"